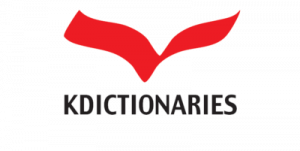 K Dictionaries Ltd (KD) is a technology-oriented-content creator that develops lexicographic data for 50 languages and cooperates with publishing, technology, academic and other professional partners worldwide on enhancing the interoperability of lexicography with language technologies. 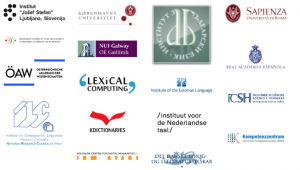 Its resources include cross-lingual varieties based on learners’ and multilingual dictionaries as well as tools for data compilation, auto-generation, processing, management and dissemination. They research the language DNA to map and track its essence – identify, analyze and register it – and link to other languages, forming multi-layer networks composed by the monolingual, bilingual and multilingual data sets. The data is in XML and JSON (and JSON-LD, for RDF), also available on a RESTful Web API (https://api.lexicala.com). Ilan Kernerman is the CEO of K-Dictionaries. He has been involved in lexicographic research, development, project management, international marketing and cooperation with the industry and academia since 1991. He studied lexicography, publishing, business administration and mediation, and speaks at universities, language institutes and professional meetings across the world. Ilan edits and publishes Kernerman Dictionary News (since 1994), has co-edited and published collections of lexicography papers and was guest co-editor of the International Journal of Lexicography special issue on bilingual learner’s dictionaries. He is the President of ASIALEX, MC member of the COST-ENeL, initiator of GLOBALEX international constellation for lexicography, and on the Board of Trustees of the Adam Kilgarriff Prize.